This was the excuse offered by a copyright infringer who thought that it was OK to rip off an artist’s work (and make money from the act) because she had tagged the artist in an Instagram post and wasn’t claiming that the image was hers. 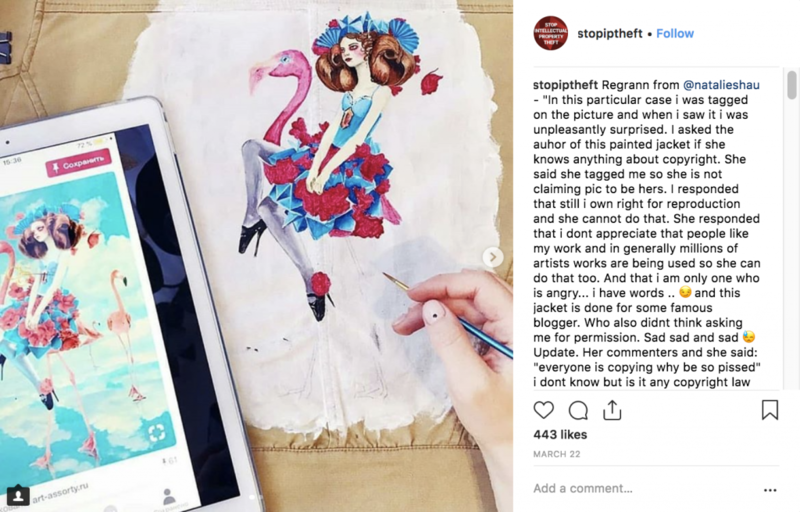 Image via Instagram @stopiptheft and @natalieshau – an artist copies an image belonging to another artist onto the back of a leather jacket which she is being paid to decorate. This is just one of many examples of copyright infringement swirling around the internet, being fuelled by social media sites like Instagram and Pinterest. There can be no doubt that the above example is blatant copyright theft, and anyone who says it’s not has been reading fake news, however sometimes the lines between copying and inspiration can be a little blurry. In this article we speak with Lawyer Jessica Kerr of Sinclair + May and passionate copyright advocate Andrea Smith of My Creative Biz to try and unblurr the lines and find out how business owners can avoid copyright infringement when briefing creatives, plus provide tips on what creatives can do if they believe their copyright has been infringed. One of the social media fuelled copyright stories doing the rounds this year has been Vlada Haggerty vs LVMH. 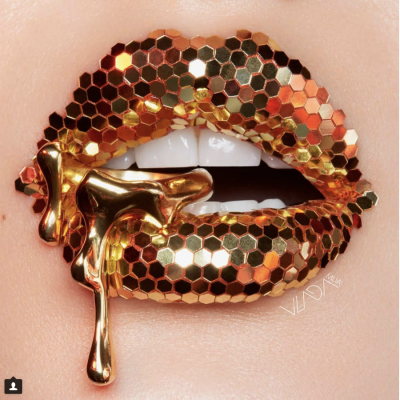 Haggerty is a US based photographer and make up artist who specialises in ‘distinctive dripping lip makeup’, while LVMH (you may know better as Louis Vuitton Moet Hennessey) is one of the world’s biggest luxury brand stables, no doubt dripping in profits. Earlier this year Haggerty filed a copyright and trademark infringement lawsuit against LVMH and their brand Make Up For Ever (MUFE). 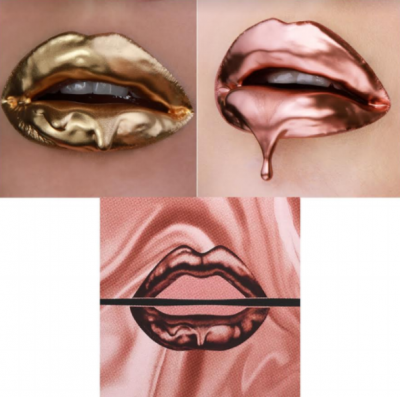 Haggerty had received multiple requests from MUFE representatives asking to use some of her dripping lip images for their marketing campaigns, even suggesting they could come to an agreement on a ‘work around’. The artist had already signed an exclusive with a competing brand and said no. MUFE went ahead and created their own version to use as a logo for their Lustrous Cosmetics line. The top two images below are Haggerty’s and the bottom one the new MUFE logo. ‘Inspired’ or copyright theft, what do you think? (read more about the case here). According to Jessica Kerr of legal practice Sinclair + May, Haggerty was able to successfully sue LVMH and gain the pre-trial settlement due to having registered the images of the dripping lips as a trademark, which meant that no one else could legally use those images to sell the same or similar products in the market. In the US you need to have registered an image not only to gain financial restitution from trademark violation, but also for copyright breach. So while Haggerty may have been able to try and stop MUFE from using the image, she was only able to gain financial restitution because she had registered the image in the first place. Would the settlement have occurred if the artist had relied on copyright alone? Trademark vs. copyright, what’s the difference? Before a creative can protect their work (and a business can be sure they don’t rip someone’s work off), it’s good to know the different levels of protection – be sure to check in your own country, as laws and levels of protection may differ. Phew, that’s good to know! So what does it actually cover? Copyright exists automatically once you create a work and is free. Copyright does not protect ideas and styles. For copyright protection to exist you must express your idea in some physical, material or digital form. A ruling earlier this year confirms that copyright only applies to works created by humans, not animals, so don’t try suing if someone rips off an image created by your cat as she slept on the keyboard (find out how a photographer who published selfies taken by a monkey was cleared of copyright theft in this LA Times article). That’s great, so now we’re clear, but what about trademarks? Sometimes referred to as a brand, it can help your customers discern the quality of your product or service over that of your competitors. A trademark is not just ‘a logo’. It can be a letter, number, word, phrase, sound, smell, shape, logo, picture, movement, aspect of packaging, or a combination of these. In 2008 Cadbury successfully trademarked the purple hue Pantone 2865c in the UK. In Australia, a brand can trademark a specific shade of colour, or combination of colours. However, the process of registration can be difficult and requires significant evidence of use and public recognition. Visit IP Australia for more info. Image by Watermark Creative’s Stevie Mahardhika. You need to pay a fee to IP Australia in order to register your trademark, while copyright is free and applies automatically in Australia and New Zealand (it also applies automatically in the US, however you need to register the copyright of a piece of creative work in the US to be able to gain legal restitution for a copyright breach). What can a brand do if they find an image they really want to use for their campaign but the owner refuses to allow it to be used? According to Jessica, not much! If the copyright holder doesn’t grant permission to have their image used then the brand needs to come up with something of their own. Watermark Creative Director Dean Proudfoot agrees. So, what about the 10% rule? Have you ever heard about the 10% rule? Or maybe it was 15% or 20%… a rumour that floats around creative business circles that if you alter a piece of work by a certain percentage (the number varies but the notion doesn’t), you should be safe from copyright issues? Jessica further clarifies that copyright law protects the expression or manifestation of ideas and not the ideas themselves, so it is not a breach of copyright to draw inspiration from the ideas used in a copyright work when coming up with your own image or design. Andrea of My Creative Biz adds that in Australia, if someone has used a ‘substantial part’ of a work under copyright within a new piece of work, the copyright has been infringed. Business.com’s article ‘The difference between inspiration and infringement’ provides some very good insights about how you can build on an idea without running into legal issues (at least in the US). According to the article, it’s all about the composition or arrangement of elements and concepts, and whether the original piece was arranged in a ‘non-predictable’ way. 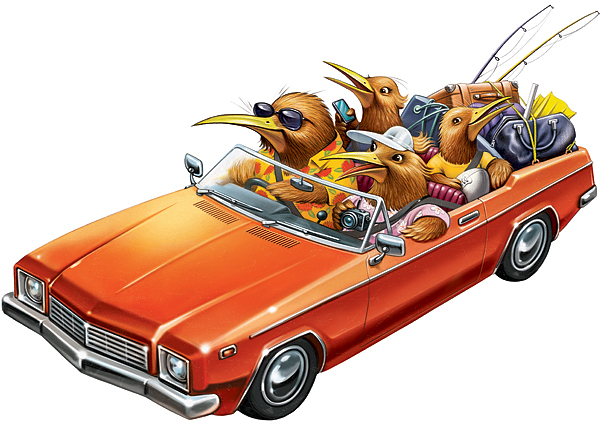 For example, if you found (or your client loved) an image of a family of Kiwi birds heading off on a fishing trip in a red soft top, that image composition is unique and if another illustrator was asked to replicate it, that would most likely infringe copyright. However, if you found an image of a Kiwi bird hunting for food amongst fern trees in a forrest and wanted an illustrator to recreate it, that image is more ‘predictable’ and may be less likely to infringe copyright, depending on the composition and details you included. At Watermark Creative we are finding that more and more clients involve us from the get-go to help develop unique pieces of work to suit their specific campaigns. It’s always a lot more creatively fulfilling to be involved at the beginning of a project and our clients get a better result if the artists are invested and doesn’t just feel like a hand. An interesting case popped up recently that clearly demonstrates the dangers of trying to alter someone else’s work and claim it as your own. It may surprise you how bold some people can be. The internet may be fuelling copyright abuse, but it can also act as a whistle blower! 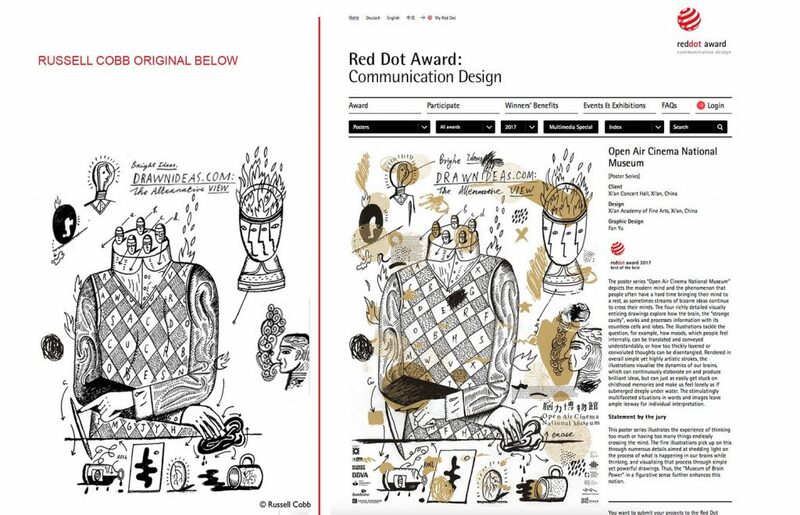 In October 2017 artist Fan Yu submitted two pieces of work for the international Red Dot Design Award. Yu was awarded prizes for both works, with one being awarded overall winner for which he received a trophy, international recognition and a monetary reward. It later came to light that the winning image, a poster for the Chinese Open Air National Cinema, had used a substantial part of artist Russell Cobb’s original work (who just so happens to have illustrated the cover of The Illustrator’s Guide to Law!). 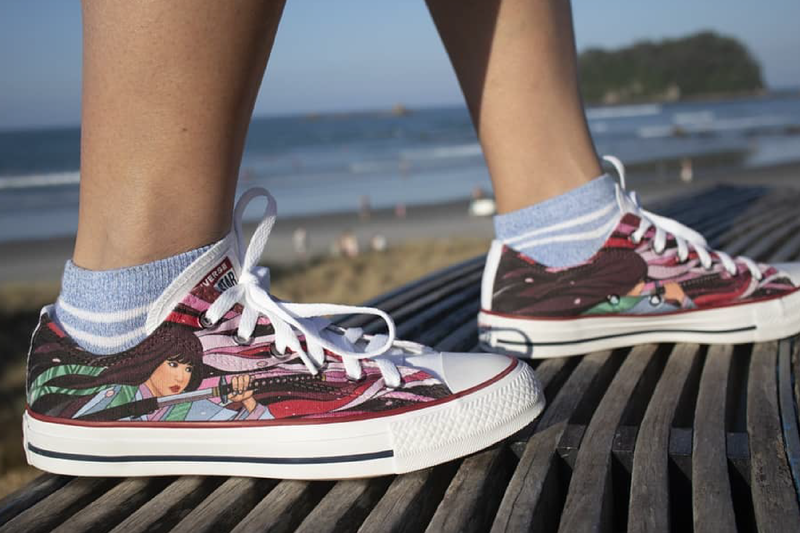 According to an Association of Illustrators article, the infringement was uncovered by members of a Chinese social media group working to stop plagiarism in the art and design in China. A representative of the group reached out to Cobb to alert him to the infringement and Cobb informed Red Dot. After investigating the issue, Red Dot banned Yu from entering the awards for life and he lost his university position, where he had been promoted to Associate Professor after winning the award. (read the full details on the AOI website). Take copies and screenshots of everything before contacting the infringer, making sure you show their business name, the date and the infringing material. Understand that other areas of the law may apply – passing off or trademark infringement for example. Before contacting the infringer make a list of all the areas of law you need to discuss with them. This is also useful if you need to contact a third party such as a hosting company or social media site to request they remove the infringing images. Decide on the outcome you want. You may just want credit or for the infringer to remove the image. If the infringer has profited from your work it may be better to seek compensation. Your decision will determine your next steps. Send a ‘cease and desist’ letter (you can get a lawyer to draft this, or your industry association may have resources to help). Contact and request a credit for your work. A public apology may be nice too. Contact the social media site or web host and request they remove the infringing items. Engage a lawyer (especially if you are requesting financial compensation or if has been a commercial infringement, a more serious breach of the law). Likewise, lawyer Jessica Kerr recommends that artists seek legal advice if at all possible, and act swiftly to defend their rights. While the thought of legal action can be daunting, especially for struggling artists, it’s definitely worth doing something. At Watermark Creative we’ve had to take action on copyright theft on a few occasions, but have usually ended up with a positive outcome without having to take legal action. On one occasion, after finding that a company in Europe was using one of our images, director Phill Small made direct contact with the perpetrator. Ignorance is no excuse for breaking the law, but thankfully the copyright infringer did the right thing and paid a fee for their use of the work. 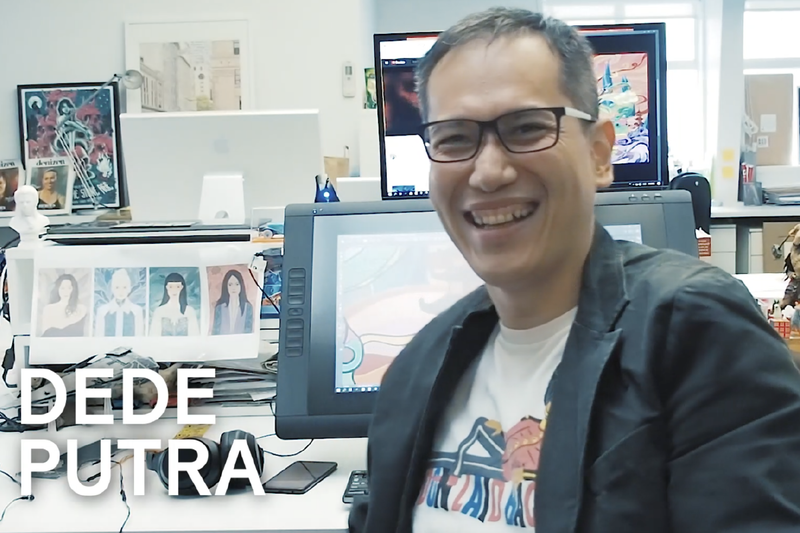 Phill also recounts an instance where a client had taken a character designed by Watermark Creative and had it animated by a third party without our knowledge. 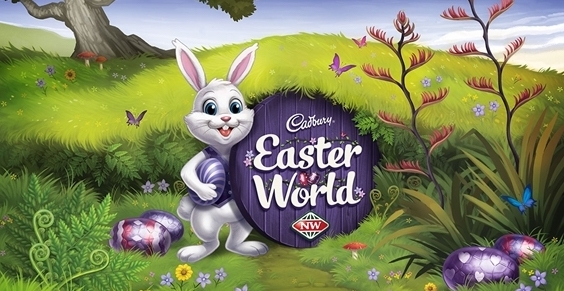 This was a breach of copyright, as the client had only purchased a license to use the image on packaging, point of sale and web. An extended license was negotiated, although it was upsetting that we hadn’t been given the chance to create the animation ourselves. It actually doesn’t take much to avoid any issues – and it’s our responsibility as commissioned artists to push back on a brief or direction that’s too close for comfort. We ask that clients first show us what inspires them (or their end client), before they set their minds on one particular image. 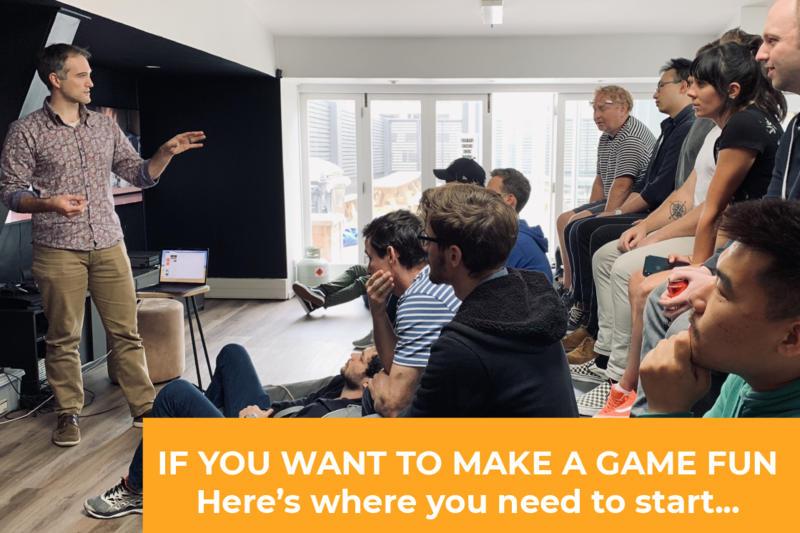 At that point we can discuss the aims of the brief and put together some potential solutions via mood boards, sketches or examples of past work that avoid any potential copyright issues. We often find that our new suggestions and ideas are well received, eclipsing the need to try and mimic any existing imagery and providing the brand with something unique with which they can really build a memorable campaign. 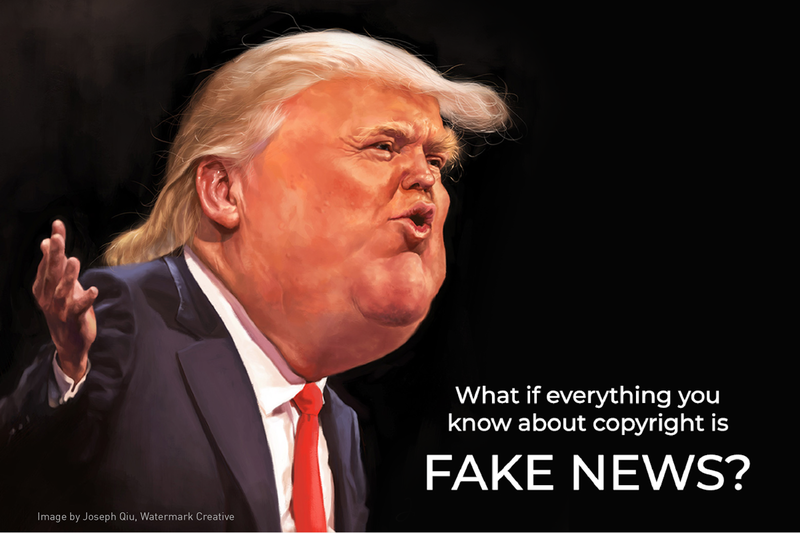 We hope that this article helps to clarify any ‘fake news’ floating around and give some insights into how to manage tricky copyright situations.